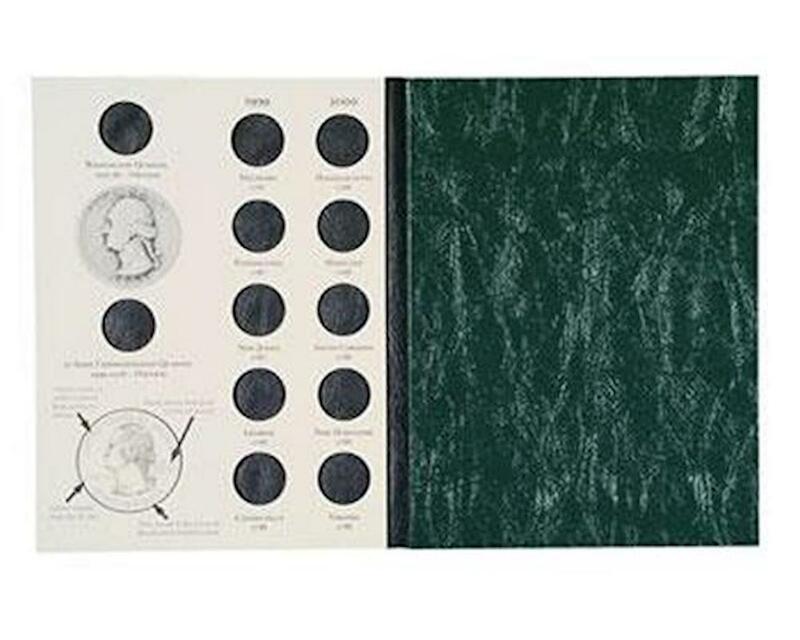 This is a 50 State Quarter Commemorative Tri-Fold Green Folder 1999-2008. Do you need a handy place to keep your statehood quarters? Something that will provide protection but doesn't take up too much room? Well Littleton Coin Company has your answer in the Commemorative Quarters Folder.